The international standards and conformity assessment body for all fields of electrotechnology, the International Electrotechnical Commission (IEC), has published a new standard to deliver the technical basis for the acceptance of lidar measurements for wind turbine power performance testing and wind resource assessments. The release of the new standard, IEC 61400-12-1:2017, is considered a major milestone in lidar’s growing maturity, formally allowing lidar as a supplementary or alternative measurement technique to mast-mounted cup anemometers. The guide also covers resource assessment measurements for forecasting annual energy production, following the increased use of lidar by the wind industry offshore and onshore. There is an increasing number of offshore wind farms that have opted out of using tall masts and are instead deploying Continuous Wave (CW) lidar, as well as onshore sites all over the world moving to lidar for all stages of development and operation. ZephIR Lidar has improved the performance of CW lidars over many years, showing consistency between units, sites and data. This experience has fed back into the development of the IEC guidance that has now been released. Although the new IEC standard does not cover nacelle-mounted lidar, the ZephIR DM nacelle-mounted product has the capability of outputting a REWS-compliant set of measurements. 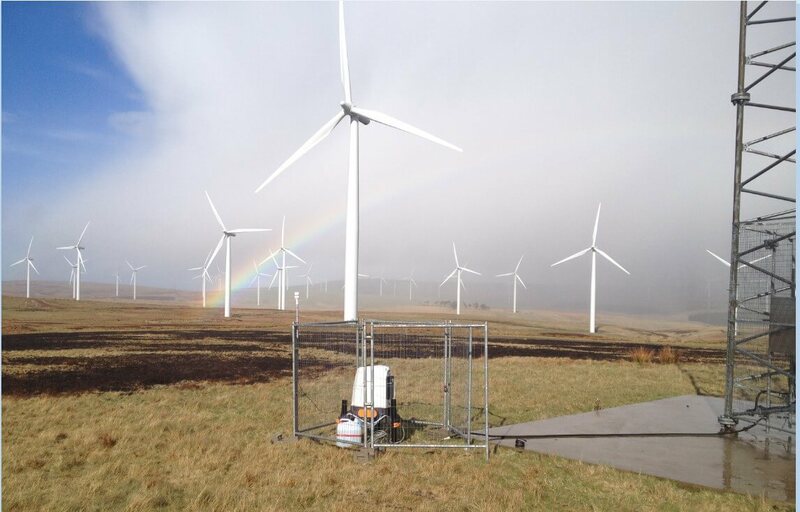 A major benefit is that measurements can be acquired for any wind direction, covering the full 360 degrees of the wind turbine’s operation, allowing for an increased chance of detecting wind characteristics that are warranted without too much shear or turbulence present. Even though the detected measurements are not considered formally IEC compliant, several independent studies have demonstrated their close equivalence. One of the biggest benefits of nacelle lidar can be realised offshore, where the cost implications are far greater – giving the opportunity of saving millions of pounds for the construction of tall masts. © 2017 Zephir Ltd. All rights reserved. ZephIR, Zephir, ZephIR 300, ZephIR DM, ZephIR Care, ZephIR Power and Waltz are trademarks of ZephIR Lidar. Other company and product names may be trademarks of their respective owners.